I like toast to have a nice crunch to it. Not a mild crunch. I want everyone in the building to know I’m eating it. 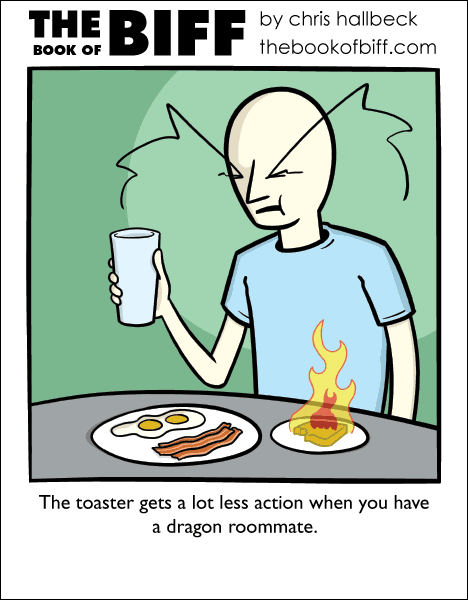 You wouldn’t get that kind of crunch from a water dragon though. Unless you like your toast not so much as toast as much as mushy breads. So, next strip will feature a Soup Dragon, maybe?